This Thai construction worker was struck with inspiration when his younger brother told him the winning lottery number in a dream #SiblingGoals. Detnarong Tembab used to live a simple life in a small Thai district. 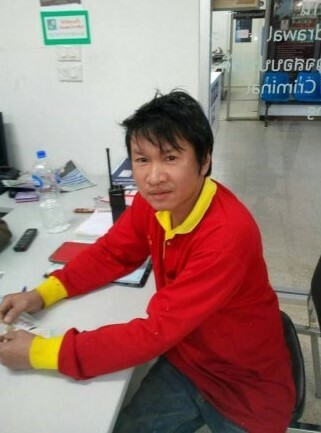 But his life soon turned upside down last Friday (2 Feb) when he found out he hit the 12 million baht ($500,000) jackpot. The next day, his house became suspiciously crowded with family members eager to celebrate his win. The 40-year-old says that his brother told him the winning numbers ‘134’ in a mysterious dream a few nights before. He didn’t think much of it until sure enough, he stumbled upon two lottery tickets ending with the numbers ‘134’ while going to the market in town. On Friday (2 Feb) evening, when the winning numbers were released — 967134 — Detnarong was shocked to find that both of his tickets carried the total prize of 12 million baht ($500,000). When asked by reporters what he was going to do with his newfound wealth, he said he is planning to build his mother a new house. Awww. It’s unconfirmed if his little brother demanded a cut from the prize after giving Detnarong his ghostly visitation.